Google Mela is an annual cultural celebration which is timed to coordinate with the Indian Independence Day, which is celebrated on August 15th. "Mela" itself means "gathering" in Sanskrit. This year's event took place on August 18th. Click on any of the photos to jump to the full set of 30 images. 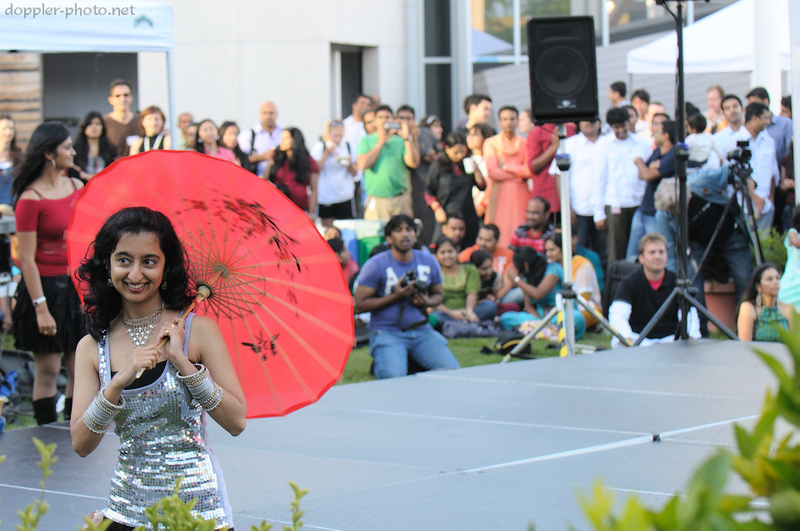 Above, Googler Stephanie Chiang performs a belly dance routine during this year's celebration. 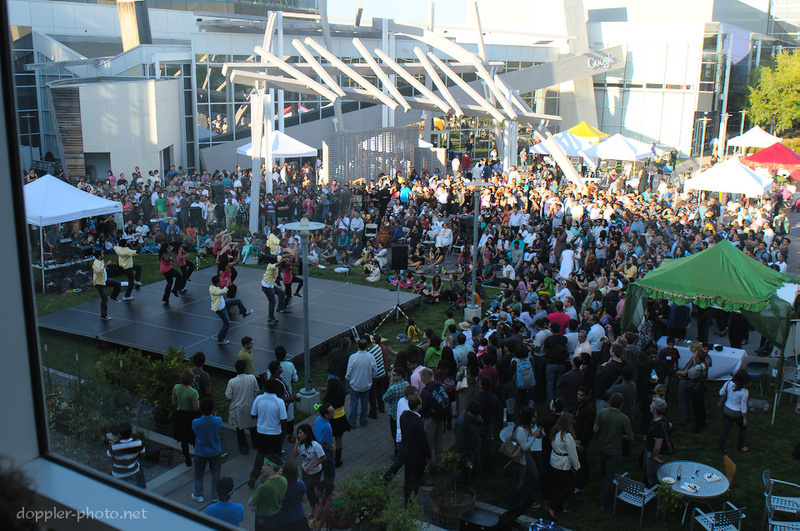 Audience members nearly fill the Charlie's cafeteria patio area during a performance featuring Bollywood-style dance. The group was organized by perennial dancer and dance promoter Anna Botelho. A woman spins her parasol while facing away from the audience at the start of a second Bollywood performance, later in the event.